On behalf of our 20,000 member companies, the New Jersey Business & Industry Association (NJBIA) would like to express our SUPPORT for making college affordable in New Jersey and appreciate the opportunity to submit testimony. As the premier business advocacy organization in the state, we take great pride in helping create a highly educated, highly skilled workforce for our employers and the State of New Jersey. We are committed to bridging the existing skills gap, strengthening New Jersey’s workforce pipeline and ensuring students are ready for the world of work when the time comes. 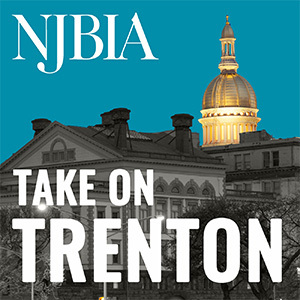 NJBIA believes an affordable post-secondary education is critical for the state economy. Post-secondary institutions help individuals become more likely to be employed and more productive employees. Despite the fact that New Jersey already touts a highly credentialed population, employers continue to need skilled employees to compete in our global economy. According to our 2016 Business Outlook Survey, employers are overwhelmingly looking for job applicants with a post-secondary education, but this does not necessarily mean a bachelor’s degree. While 77 percent of businesses surveyed said they were very or somewhat likely to recruit from a four year college or university, businesses also said they were as likely to recruit from a community college and a county vocational school (80 percent and 74 percent, respectively).It is clear from our perspective, not every New Jersey resident needs to pursue a four year degree immediately after graduating high school to be successful in to finding meaningful employment. Students and education institutions should consider other credentials outside of a bachelor’s degree. Academic and industry recognized certificates, licenses and associate degrees can offer a more affordable first step in pursuing higher education. These credentials may vary based on institution and industry, but are often competency based, offering particular skills leading to employment. Certificates and licenses are popular in many industries ranging from information technology to manufacturing to plumbing. While many of these credentials are not offered by many higher education institutions, job seekers can graduate anywhere from six months to two years, ready for employment. In fact, sometimes less education is worth more. For example, a one-year information technology certificate holder can earn up to $72,000 per year, compared to the average bachelor’s degree holder, making $54,000 per year. Likewise, job seekers interested in furthering their education should be able to build off of this certificate or license. While some post-secondary credentials, like an associate’s degree, offer distinct pathways to higher education and careers. Post-secondary credentials, especially industry driven certificates, should also be “stackable,” either through career tracks at senior universities or transfer agreements between institutions. In doing so, job seekers would be able to enter the workforce at an accelerated pace while offering them the foundation for additional education if interested. Finding a meaningful career is often a primary motivation for many going to college, especially to the growing number of students working while pursuing a post-secondary education. However a student’s skill set learned while employed during their time at college may not fully support their career goals nor may the education institutions be flexible in supporting the needs of the working student. Developing an accepted statewide system for work-based learning, online learning and for a competency-based education system could fill curriculum gaps and add flexibility to degree obtainment. While hybrid courses, which blend in-person and online instruction, have shown to help students do about as well or better than those in traditional lectures, Massive Open Online Courses (MOOCs), which are solely online courses, support motivated learners. Additionally, competency-based models award proven mastery and student learning rather than time spent in class. Often developed in partnership with academia and business, these types of educational programs can bridge the gap between what is taught in the classroom and what employers need. The Great Recession led to a decrease in funding for higher education in most states. As a result, states have steadily cut per-student higher education funding and institutions have steadily raised tuition to compensate. At the same time, less than half of our students graduate from a four-year institution in four years, and many end up not graduating at all. This leaves them with an accumulation of debt that constrains economic opportunity, with or without a degree in hand. While New Jersey has the continued responsibility to re-invest in higher education, little has been done in the way of promoting efficiency and using investments to drive better outcomes. New Jersey, like many other states, base its funding of higher education off of previous year funding and the number of students enrolled full time. These types of allocations, along with tuition and financial aid policies, incentivize access and expansion, enrolling more students each year. It does not also necessarily encourage students to complete a degree or by a particular timeframe. Outcome based funding seeks to incentivize higher education institutions to meet goals set by their respective state. Designed to align state goals with institutions’ goals and help scale proven programs of student success, it holds institutions accountable for performance and fulfilling their mission. Over half the states in the nation offer funding mechanisms that take performance of institutions into consideration, according to the Center on American Progress. These performance metrics often include: the time it takes to complete a degree, average wages of graduates, the second- year retention rate and the share of undergraduates who come from families with incomes low enough to qualify for a federal Pell Grant. In response to these measures, many universities across the country have improved academic advising and encouraged students to take a full course load each semester which in turn increases graduation rates. Higher education leaders and boards of trustees need additional supports to find savings in order to focus on college affordability. By placing a greater effort in equipping leaders, these individuals can help address increasing costs with the knowledge needed to pursue college affordability for students. While savings can come from prudent hiring and deployment of highly skilled staff, state policy affecting labor contracts, fringe and retirement benefits significantly affect colleges’ budgets and future spending obligations. Reexamination and reform of personnel and labor policy and granting colleges more freedom to act, not tied to state practice, would give colleges a stronger hand in cost control as well as more accountability for spending on personnel. While Rutgers University and the 19 Community Colleges have the ability to negotiate labor contracts, the remaining state colleges and universities lack this authority. New Jersey ranked the ninth highest state in the country in average student loan debt, with almost $31,000 per borrower last year. According to LendEDU, close to two-thirds of all students had taken out at least one loan to pay for their education. At the same time, businesses continue to see the value in helping employees pay for additional education. Many employers see the value in this type of fringe benefit as a way to boost morale, retain employees and create a skilled labor pool. Many employers also continue to offer tuition assistance programs (TAPs) to help employees complete a credential. In fact, a 2013 Society for Human Resource Management survey found 61 percent of employers offer a tuition assistance benefit for undergraduate pursuits, although these policies and practices vary greatly. According to the Internal Revenue Service, employers can also reduce the amount of employment taxes a company pays every year by taking advantage of the “educational assistance program” exclusion. Implementing a tuition reimbursement policy that satisfies the IRS’s criteria allows employers to exclude up to $5,250 of reimbursements per year from the W-2 of each employee. While many employers want to ensure their investment is benefiting the workplace, a state tax incentives could also encourage the growth of employer- provided tuition assistance. Employers are also starting to help pay for an employee’s student loan debt. A more recent and growing trend, employers see this as another way to invest in their employees, to help retain them. According to one study, recent graduates preferred this benefit over a traditional 401k benefit plan and 85 percent said they would accept a job offer when student loan repayment is included. The benefit is presently taxable income for the employee, according to the IRS, however a movement in Congress is trying to change this. At the state level, business could be incentivized to help offer this benefit. Employers could be encouraged by state policy that could offset the startup cost of offering this benefit as well as allowing this additional income to the employee be tax deductible for the business. As the world’s labor markets evolves, New Jersey employers continue to demand a skilled workforce. NJBIA believes, by innovating for completion and employment, creating greater accountability and developing additional tools to manage existing debt, we can make college affordable moving forward. These additional recommendations cannot only help make a post- secondary education more affordable for students and parents, but help employers receive the workplace ready, educated workforce they need. Once again, we thank the Commission for their work and the legislators advocating for this today.